Welcome. 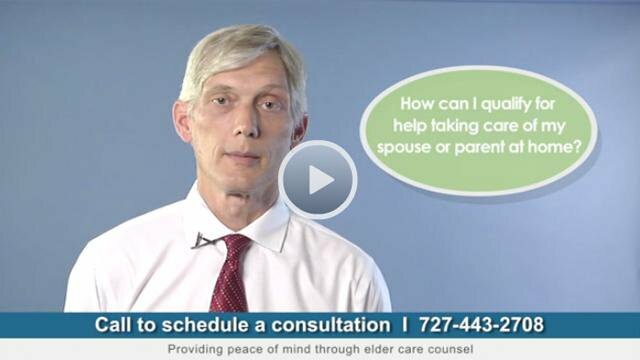 Here you will learn from Florida board-certified elder law attorney Walt Shurden smart actions to take to protect your loved ones and their investments from the costs of long-term care. So please, BEFORE you file your own application for Medicaid or accept a referral from a facility to speak with a planner about your case, read this free information and download our free E-Book outlining the strategies you can use. We will also help you understand the Florida Medicaid and VA pension qualification industry. We will teach you how to become eligible for these benefits without being misled into buying a completely unnecessary commissioned annuity with a Medicaid lien attached. We’ll explain why it is a bad idea to get your advice from the wrong person and why you must think for yourself during this process. Attorney Walt Shurden has worked through well over a thousand long-term care situations for his clients. Aging involves financial problems related to paying for the help of others to help overcome a disability. At the Law Office of Walter B. Shurden, we take action to restructure your income, property, and assets, so you get help paying for the care you need. While our practice is focused on elder law, we have worked with clients of all ages who have questions about their future security. We advise healthy and able seniors on their estate planning options, address the needs of clients who have recently been struck with a devastating medical diagnosis, and draft incapacity and end of life documents for families who have a loved one suffering the early stages of dementia. Nearly every aspect of building a sound financial plan for the future falls under the heading of estate planning. We can help you draft a will, get the right provisions in your durable power of attorney, set up revocable trusts with special provisions to facilitate long term care planning, designate a responsible health care proxy, create a living will, or even serve as a fiduciary to oversee a special-needs trust. As more and more veterans and their spouse’s reach retirement age, the Veterans Administration has become overwhelmed with benefit requests. Even though many veterans and their spouses can eventually qualify for benefits, they often do not initially meet the income and asset tests that determine eligibility. We can advise you on how to restructure your income and assets to ensure that you qualify for veteran’s aid when you need it most. We create irrevocable trusts to hold clients’ money, stocks, property, and other assets during years the client is most likely to need long term care. At the client’s passing the assets are transferred to children, grandchildren, and other beneficiaries. Unlike a revocable trust, transfers to an irrevocable trust are designed to be completed gifts. After the senior transfers her assets into the trust, she has no legal ownership over them. Transferring property this way allows the senior to maintain her eligibility for government aid during her lifetime, as well as providing tax benefits to the seniors’ descendants when they receive the contents of the trust at the senior’s death. This is a powerful asset protection strategy. Many of us will find ourselves in a difficult position when it comes time to pay for long-term care. If you must have nursing home level care, but have too much money to qualify for help, you’ll want a full explanation of what can legally be done to qualify for extremely valuable assistance from Medicaid. We qualify clients for Florida Medicaid and on this website and our free E-Book we tell you how we do it. We protect your assets while still maintaining your eligibility for Medicaid. Hire a Board Certified Elder Law Attorney– Not Someone Who Calls themselves a “Planner” who may be loosely affiliated with an Attorney to reduce their liability for practicing law without a license. 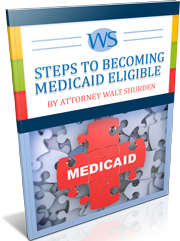 Advising someone on how to become eligible for Medicaid has been determined by the Florida Bar to be the practice of law. But in Pinellas County several non-attorneys salespersons who call themselves “planners”, who due to unlicensed of practice of law rules passed in 2015 have now affiliated themselves with a lawyers office (usually a struggling lawyer who can’t say no to the revenue and is not knowledgeable about elder law), encourage clients to adopt asset protection strategies that facilitate the planners desire to sell a commissioned annuity or other commissioned investments. Run don’t walk. The unskilled planner’s own incentives to make a commission often leads to less than straightforward advice on what strategies to employ to become eligible. Hogwash. At Walt Shurden Elder Law we explain the pros and cons of each of the options we present to you. We don’t sell financial products. We want you to understand the terrain and ultimately feel good about the decisions you make during this important time. You should be successful. We use experience and financial analysis to guide our advice. To find out what you can do today to protect your nest egg, call our office in Clearwater, Florida, at 727-443-2708 or email us to have our staff contact you. Seniors are often unwilling to start their estate planning until the unthinkable happens—and by that time, many opportunities will have been lost. No matter whether you've just celebrated your fiftieth birthday or need to protect your spouse after a terminal diagnosis, attorney Walt Shurden can help you create an estate plan to minimize losses and retain access to Medicare and other benefits. Paying for a nursing home can often cause families to lose their savings, assets, and property. At Walt Shurden Elder Law, we help elderly Florida residents maintain their eligibility for Medicaid, allowing them to retain their wealth and assets while the government pays for their long-term medical care. No matter if you are a married couple, elderly single resident, or disabled senior, we can help you restructure your estate to qualify for Medicaid benefits. An irrevocable trust can offer many benefits, including reducing the amount of estate tax, providing for minor family members, making sure special needs dependents get the care they deserve, and protecting your assets from creditors. Attorney Walt Shurden explains the basics on these kinds of trusts to help Florida families plan their estates. It can be difficult to move into an assisted living facility, but trying to come up with the money for the costs of care is even harder. With Veterans' Aid and Attendance planning, former service members and their spouses may be able to get hundreds of dollars in extra income every month, greatly easing the financial pressures of paying for long-term care. At Walt Shurden Elder Law, we can create and administer your trust using our combined practices of estate planning and elder law. We can also serve as your estate executor, preventing your belongings from becoming the subject of family disputes and repel challenges to your wishes—and unlike family members, we cannot exploit any conflicts of interest for our own financial gain.